If you are looking to move and are in need of a change, consider moving to Colorado, specifically Colorado Springs. 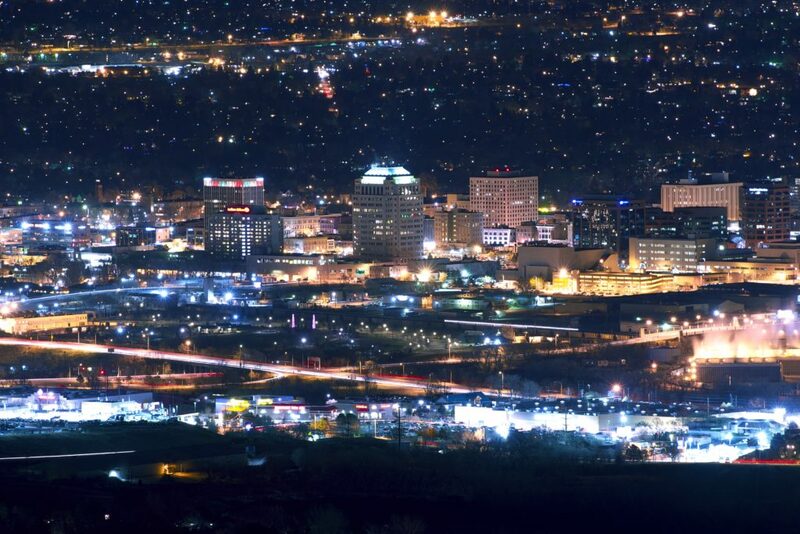 Colorado Springs is the second most populous city in Colorado, behind Denver. The area is a major tourist attraction because of the peaks, which along with its parks, monuments, trails, forests, and grasslands make for a beautiful backdrop. The city is so breathtaking that it has even been the site of numerous movies and television shows. If you are still wary about moving to Colorado, have no worries. We will help you feel confident about your decision. We have put in the time and research, so that you will know everything that is necessary about your future home. You will learn why moving to Colorado Springs might be one of the best decisions you ever made. Before getting to the reasons for moving to the city, you must remember what it will require. You will have to move all your belongings from your current home to your new one, which might be across the country. We understand that a move, like this, can be challenging. This is why we offer easy and hassle-free car shipping services to and from anywhere in the country. This helps make the transition to your new home go much smoother. From online purchases to college moves, the reasons to ship a car are extensive. We have included some of the reasons why individuals choose to ship their car to or from the Colorado area. Moving in the military is not uncommon. You may be asked to relocate on short notice. It helps to have a professional company you can trust assist with the transport of one of your most prized possessions, your car. If you find yourself moving to one of the six military bases in Colorado, most of which are Air Force bases, then count on National Dispatch to get your vehicle to your new home. When in Colorado Springs, also be sure to watch the Thunderbirds fly. Whether you are moving to upgrade to a larger home or to be closer to family, it does not matter. Many of our customers use our car shipping services when moving to a new home because of the convenience it provides. With our door-to-door auto transport service, the driver will come directly to your home to pick up the car. Then, it will be delivered directly to your new home, as long as conditions permit. This makes the process easy and eliminates driving to and from terminals. Many businesses are attracted to the beauty and excitement of the Colorado Springs area. Therefore, securing a job should not be a problem. Some of the more popular industries include manufacturing, education, healthcare, aerospace, and insurance. If you are relocating to the area because of a job, use car shipping services to save time, energy, and even money. Be sure to ask your company about their relocation policy. Some companies cover some or all the costs associated with a move. Find out more about moving for a job by reading our Corporate Relocation Guide. The state is sometimes referred to as the “Switzerland of America” because of the many mountains and peaks, but there is more to the state and the cities in it than mountains. You will also find numerous waterfalls, trails, rolling hills, and rock formations. The climate in Colorado Springs is classified as relatively mild. The area sees less snow than Denver and Salt Lake City. Throughout the year, temperatures are bearable. However, it is recommended to wear layers in the winter. You catch visitors and locals doing a variety of outdoor activities, such as white water rafting, horseback riding, biking, rock climbing, and fishing. The cost of living in Colorado Springs is less than the national average, making it a reasonable place to call home. The cost of living takes into account housing, groceries, transportation, health, and utilities. You will never be bored in a city with so many things to do and see. One popular attraction is the May Natural History Museum, also known as the Bug Museum. Here, you can find a collection of thousands of bugs. Another popular place to visit is Pike’s Peak, which is accessible by driving, hiking, and cycling. You definitely do not want to miss out on the famous red rock formations at the Garden of the Gods. Colorado Springs was named one of the healthiest cities in America for its green spaces, food, healthcare, and fitness activities. By living in the city, you also reap the benefit of breathing in dry, clean air. There are plenty of opportunities to engage in outdoor recreational activities. The local parks have pools, playgrounds, picnic shelters, and athletic courts, making it the perfect place for families and individuals. In addition, there are dozens of health centers and spas scattered throughout the city. National Dispatch is a nationwide car shipping company with a company-owned fleet. We ship cars, trucks, vans, SUVs, and motorcycles anywhere in the country for both individuals and businesses. If you are in need of auto transport services, contact us today for a free, instant car shipping quote. Use the quote form, located on our website, to fill out your vehicle make, vehicle model, pickup location, and delivery location. No personal information needed. You will be instantly redirected to your car transport rate. Feel free to call us at 800-321-2051. You can also chat with us on our website at www.nationaldispatch.com.